Identity theft is the new cyber crime. It is a scary and at times a complex array of issues. Cyber crime is on the rise and can get costly and time consuming to correct. So, wha t exactly is identity theft and how do you stop it. Put simply, identity theft is when somebody steals your personal information and pretends to be you. The crooks makes withdrawals at your bank or run up your credit cards and leave you stuck with the mess. The credit card companies don’t believe you when you try to tell them it wasn’t you. Why should they? How do you prove otherwise? Everyone claims to be innocent when they max out their credit cards and can’t pay their bills on time, right? And credit collectors can be very aggressive, causing you the anguish and torment, when it was Identity theft and was someone pretending to be you. Not pretty! Victims feel totally helpless, and devastated, wondering what they did wrong. Needless to say, be sure you do report identity theft to the police first and then also to the FTC Federal Trade Commission. People are sometimes too embarrassed to file the proper reports, or just don’t know where to report Identity theft. Is it really that easy to steal somebody’s Identity? Copying machine are everywhere in business today. You fill out a form for any store card, credit application, furniture payment plan, and a clerk somewhere has a chance to copy all your information. You get a phone call, from your bank(or so you think). They tell you someone is trying to steal your information. Call this number and change your account login details. It a fake call, and it’s not the bank calling. No, much worse!It is someone stealing your identity.They ask for more information and persuade you to key in your new pin on your phone. Maybe they tell you to protect your credit cards now, call another number and secure your cards. And you think you are protecting yourself, but you just gave all your information to the thieves. They could have your accounts cleaned out within the hour, or a few days. You likely won’t even know till you get your statements from the bank, or credit companies. Help from the FTC- Hang Up! Would a stolen phone reveal your personal information? If it is password protected, then it would be hard to open. However, if you use something like the word “Phone” for your password, you are likely going to get fleeced. The crook has plenty of addresses! Yours, your family, your friends and their phone numbers! Even strong passwords can get figured out. Back up the data on your phone! Do it now, then if you lose it you can send an erase command. Once the thief opens your phone, you data is erased. You have it, the crook doesn’t! You can’t do it after you lose it, do it now! Use a 6 digit password, or fingerprint scan and keep you phone set to lock whenever you are not using it. You can get the find my device app, and use it to find your phone and send the erase command, even if your phone is off. You can also call your provider and get the sim card in your phone deactivated, either temporarily or permanently. Pictures are irreplaceable, and they can be used against you. Store those online in a cloud storage that you can access with other devices. What happens when you lose your purse, or wallet? How much information are you carrying with you that can hurt you? Think about losing your driver license. The crook has your address, your date of birth and birthday, what color you r eyes are, what you look like, ect. He has a lot of information right there. That is enough to open an account in your name! Nothing is guaranteed to absolutely prevent everything 100% of the time, but you can add some protection or reduce your risk. If you are going to the bank, take you debit card if you need it, but leave the credit card at home. To be safe with a trip to the grocery store, leave the platinum card at home. Don’t include your social security number on checks. In fact, some credit card companies are blocking out account numbers, and discouraging people from putting their numbers on their checks! 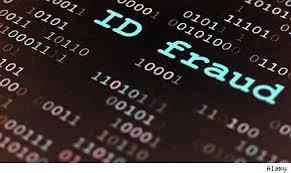 Read more ideas for protecting yourself from Identity theft in my Identity Theft and protection Review. Whenever you get any e-mails requesting information updates of any kind, check with the party involved and ask if they sent it. Always go in person, to add or change any information. Watch your mail,and be sure you aren’t missing any bill notices. If you don’t receive a bill in any month, contact the parties and ask why? Thieves can change addresses, and keep you from getting information about your account, or just steal your mail. Then by the time you actually notice you did not receive the credit card bill, the thieves have you fleeced. Be sure to question all the information you give out and ask why they need it. Only give out what is absolutely necessary. Some of the information we give out is necessary, but much more is not. We have to be aware, more than ever to protect our personal information, and give out less. Be mindful with places like drug stores and supermarkets. They don’t think the thieves would target them, so they don’t invest heavily in data security, but it is you who is the victim, not them. If they get information stolen, you lose your money later. Identity theft using computers is on the rise. Companies large and small, retail stores and even universities are being forced to increase the computer identity theft protection. Everyday, data breeches are becoming more and more commonplace. Sometimes the information is not directly used in crimes right away.It can be copied and sold to others who may used the information without permission, in illegal activities. Sometimes, the problem is discovered, long after the accounts have been compromised, and the theft has taken place. And if the information is copied, it could be used at some point in the future. *Update – Shortly after I wrote this article, I discovered I was involved in a major data breech which compromised my information. Read the article here- The River City Media Data Breech. Small businesses are being targeted more and more. Why? 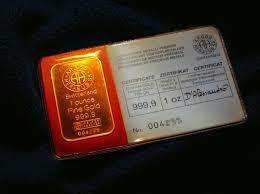 They have good credit that the crooks can use to turn into goods and money in their pockets. Listen up! If you think crooks aren’t interested in your few thousand dollars, think again! If you have any questions, leave a comment below and I will get back to you, promptly. I always respond to all my readers. Are you tired of losing money in all these scams? if you are looking for a way to make more money,then don’t look at another scam! Take a look below at the method I used to learn how to make money online, the right way. Check it out today, why wait? If you don’t make a change, nothing will change. Ten years form now you will be in the same 9-5 job. After being scammed many times over, I finally found a legitimate business method. I would like to share it with you below. It is free to look over for a week, and if you think it might be for you, I will be there to help and coach you every step of the way. What have you got to lose? No credit card needed! It’s free to look it over and take it for a test drive! It’s so scary how our lives can change in a few seconds if we are not vigilant when it comes to our identity or banking particulars. As you said, these scammers or thieves can pose as people who have your best interest at heart and are concerned about you, yet they have a hidden agenda. You provided me with an awesome tip to have my phone data erased if the information is compromised. I never thought of this, and am going to learn more on how to do it. That’s a really helpful tip. Another way that thieves can learn more about you, that is commonly under the radar but can provide them with sufficient data is social media. Bottom line, we got to be one step ahead of them all the time. Thanks for your awesome help in arming us with valuable advice and tips. They give some great help for fixing things up! You can call your cell phone provider if you lose your phone and have the sim card deactivated, then the crook can’t use your phone to steal your data. Social media is another source for the crooks to find out your kids names, and what schools they go to if you post pictures of them playing sports, or in uniform. People are too trusting! Reading about all these scams and frauds makes you ponder where have we gotten to. We can’t trust anyone and the Internet it’s such a wide open door to the unknown. 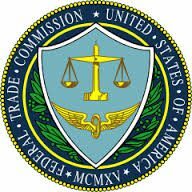 After watching the FTC video you have I was shocked to find out you can call a scammer when you think you are caller a legitimate party, wow! This is why I am glad I found your site and all the help you have in your articles. Please keep up this important work for all of us! Thank you for reminding everyone how careful we really need to be. Nowadays I practice a lot of your suggestions and am very aware especially when I get strange calls or emails. I never bother with them. I think it is better that way. Identity theft is real and is is a nasty threat. I have more information to help keep you safe in my Identity Theft and Protection Review. You can get scammed by calling numbers from ads and emails, you just never know! They are usually ads that are too good to be true! Don’t ever give your check routing number to a stranger! I will keep writing content to help people protect themselves, and i am glad you found it helpful! Yes, be careful with those calls! 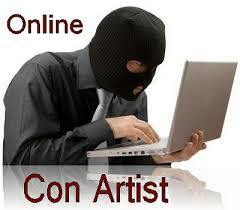 Thank you for sharing your article on identity theft the new cyber crime. I liked the suggestion to back up your cell phone, that is a good idea. If I lose my phone I have a copy and then I can call the provider and get the phone disabled if I lose it. Good advice. Nowadays you can’t turn on the television without hearing about some type of data breach. Facebook has been leading the news lately with how they let regular employees have access to millions of user personal information, including passwords and username. Hospitals, banks, schools and all of us are at risk, and they put us at risk as well. If hackers get into their computers, they have everybody’s information. Companies that make the software to protect us are having a hard time keeping up with the hackers. You are welcome! your cell phone is a perfect way to have your identity stolen if you lose it and it is not locked. I hate entering my password on my phone, but nobody gets in my phone unless i unlock it. If I lose it, nobody can get into it, but the data is lost,so yes,back it up. I wrote an article explaining how I got Caught in the River City Media Data Breach. I never knew, but my information was exposed online. Many people are unaware that their personal data is probably exposed! You understand better than most exactly what is going on, people don’t think about this! it is important. You are right, I notice updates almost daily going into my computers security software! Unfortunately, it happened to one of my friends. He has completely destroyed, he lost his girlfriend, the landlord throws him out of the apartment. The person who stole his identity fill in a form and send it to the landlord that he is terminating the renting contract and the poor guy was in shock when he found his things in front of the apartment. My friend was devastated, he started psychological therapy, and he was admitted to a rehabilitation hospital. It’s sad, but it’s true. In a society where everything is computerized, our private life and identity are threatened. Sorry to hear about your friend. Identity theft is real and it is a very devastating experience.I can only imagine the absolute shock of finding my things outside my door! It is very sad, and very important that we all do everything we can to protect ourselves! My article Identity Theft and Protection Review gives some good tips for protecting ourselves.I hope your friend has a speedy recovery. Be sure to share my advice with him to help him get back on his feet!